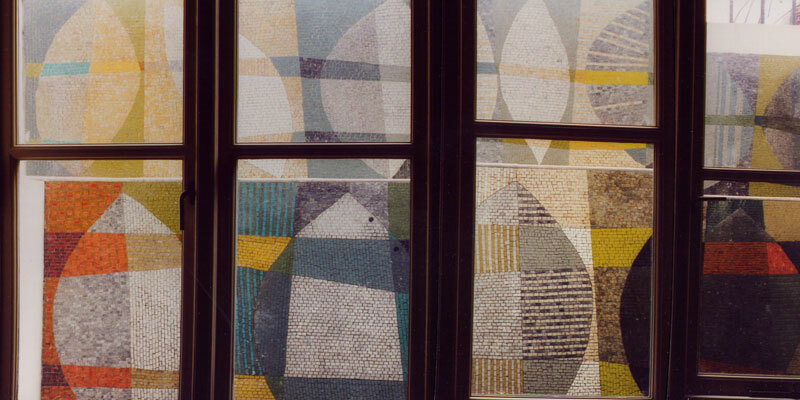 Wall in riven marble and smalti, created as a view from the window of a London basement. 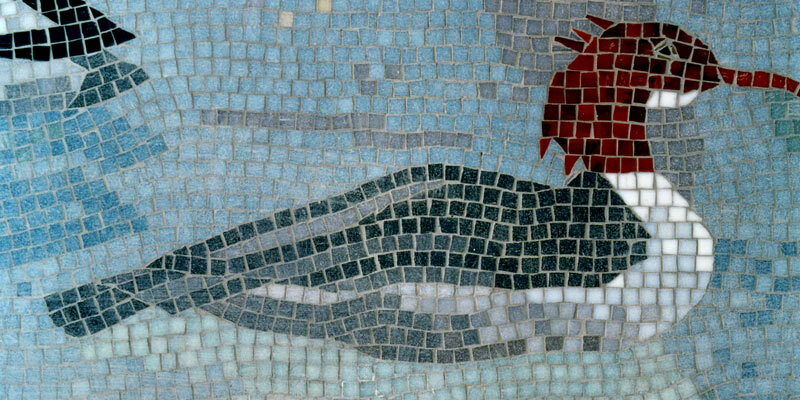 This mosaic was made for private clients who lived in a house overlooking the Thames. 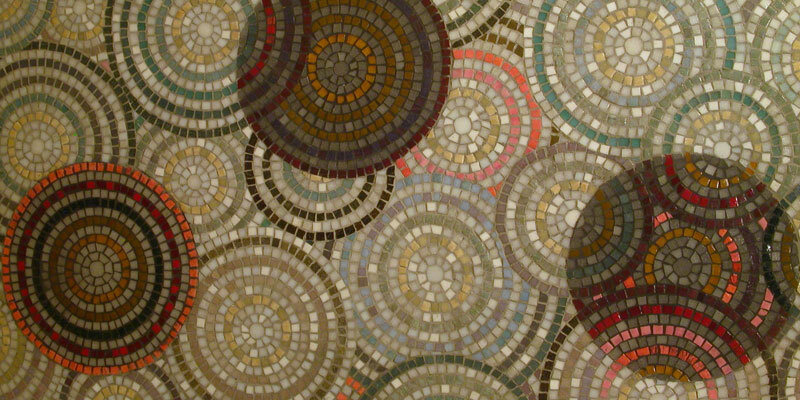 They wanted a mosaic that reflected their interest in mosaics from the Roman world, but made with a contemporary consciousness and a sense of place. 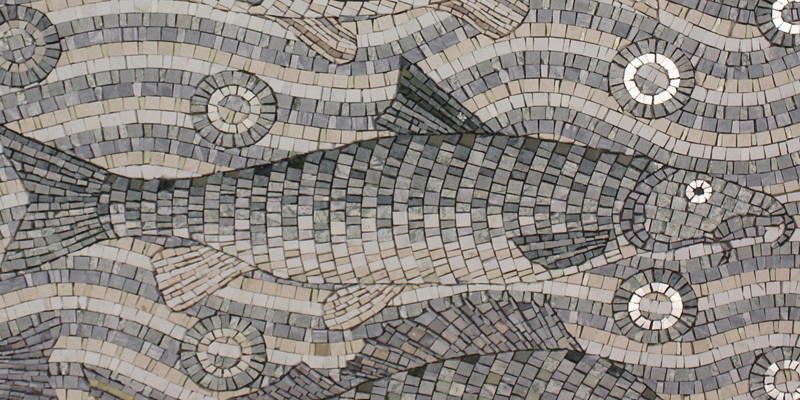 The design is based on fish that swim in the River Thames. It depicts, perch, roach, chub, barbel and brown trout. More. 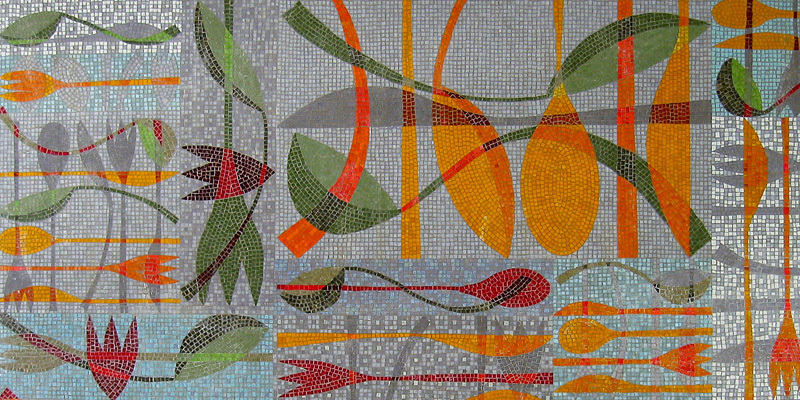 A wall panel for a kitchen in New Jersey. More. Hallway wall panel in Holloway. More. Canal birds wall panel. More. 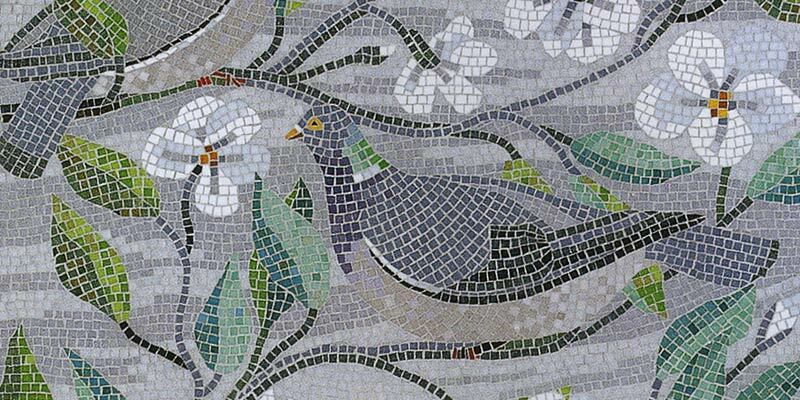 Domestic wall panel with pigeons. More.